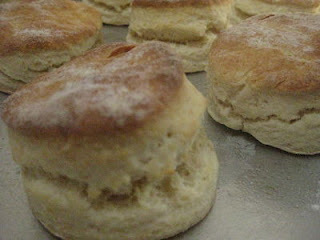 I make scones a lot, I use the same recipe over & over & over. Then I found a recipe for scones using lemonade & cream. Mmm, I thought, sounds yummy. So I made them and yes, they were yummy but too indulgent I think. I mean cream on the inside & then I'm going to put cream on the when cooked... too fancy for me. BUT, I did start thinking, instead of using just plain lemonade, what would happen if you used Raspberry lemonade instead? Do you think they'd turn pink? And then if we used Lime lemonade, would they turn green? Have you ever made lemonade scones? Have you ever used pink or green lemonade in them? mmm... couldn't resist to stop and look at this photo a bit closer... No, I 've never made scones using lemonade, I still use the traditional recipe, but they sound fantastic! I never have any luck making scones.